Spring time is definitely my favorite cocktail season! From citrus flavor infusions to floral hints, spring libations are not only fun to drink but look at as well. 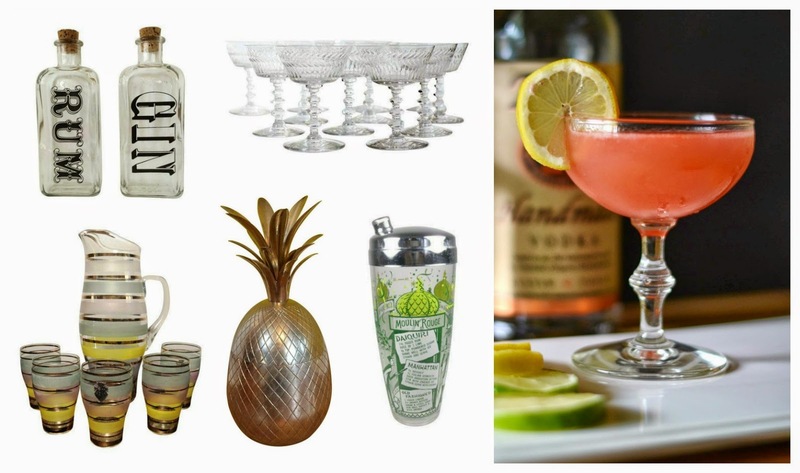 Thus inspired by two of my most popular spring craft cocktails that have been part of my Mixology Series, I partnered up with Chairish to bring you my bar cart essentials. When entertaining, cocktail making tools can make or break your happy hour. Therefore two of my musts in my bar cart are a cocktail shaker and an ice bucket. I love all the styles and sizes cocktail shakers and ice buckets can come in, yet be very careful to not pick one just because its fun, instead consider its functionality as well. For example, I personally have a simple silver bucket that works when putting champagne on ice and a separate stylish bucket for guests to use for filling glasses. Speaking of stylish, one of my favorite items in Chairish Barware section had to be their Pineapple Ice Bucket. I mean I am obsessed!! Very en trend this spring to summer, pineapple touches are a great way to add a chic touch to your bar cart this season. Correct use of cocktail glasses is also a big do on my list. Helping to not only serve the drink correctly but also add some style to your craft I recommend two sets of glasses in your bar cart. One set should be for shaken drinks like a Martini. The other set should be for stirred drinks like a Collins. Matchy matchy sets can overwhelm a bar cart so stick to sets that marry each other through details like gold rims or colors. 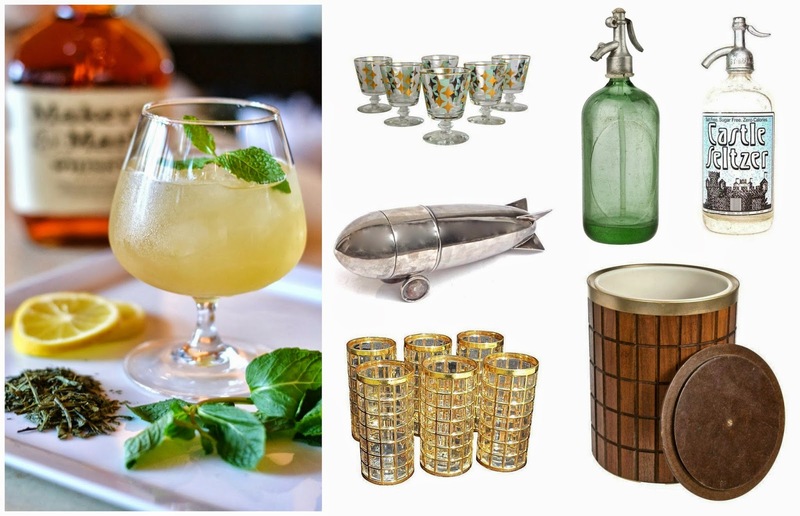 With a bevy of vintage glass beauties, Chairish has an amazing selection of drink ware sets that can be mixed and matched that will give a bar cart a unique and uniform look.